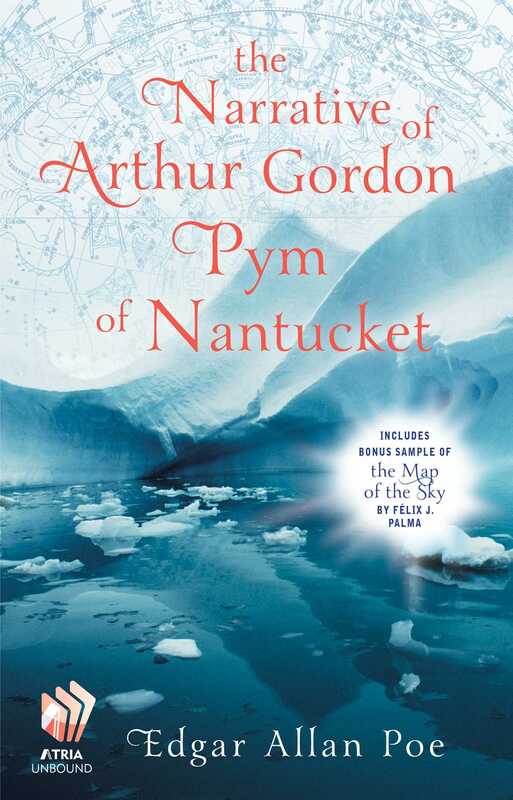 Arthur Gordon Pym is a stowaway on the Nantucket whaling ship Grampus. During his journey he endures shipwreck, mutiny, starvation and cannibalism. Arthur is saved by the crew of Jane Guy and continues his adventures further south, eventually reaching the South Pole. Edgar Allan Poe is an essential figure in literature, as well as in the international bestseller The Map of the Sky by Félix J. Palma. As a gift to our readers, we are including an excerpt of The Map of the Sky in this eBook edition. Edgar Allan Poe (1809-1849) was an American writer, poet, and critic. Best known for his macabre prose work, including the short story “The Tell-Tale Heart,” his writing has influenced literature in the United States and around the world.